Jonathan Bardzik, culinary storyteller, entertainer, and horticulture industry veteran, presents delicious, easy-to-make recipes featuring AAS Winning edible – vegetables. 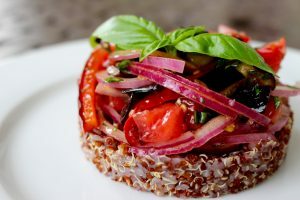 Enjoy this delicious Italian bull’s horn type sweet pepper AAS Winner Carmen in this easy-to-make, delectable caponata salad. 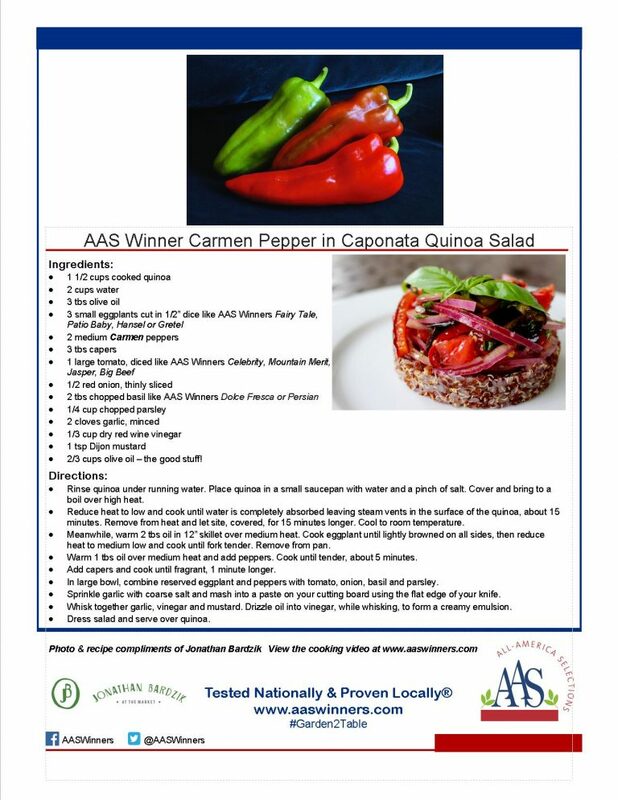 Plant AAS Winner Carmen Pepper in your Garden and Enjoy This Recipe All Summer Long! Carmen F1 is an Italian bull’s horn type of pepper which refers to its elongated shape, about 6 inches long. The medium thick flesh is the sweetest when it is allowed to ripen to red, but Carmen peppers are sweet even when immature or green. One of the improved traits of this variety is the earliness to ripen red.